Of all the Mesoamerican deities, Quetzelcóatl is the one you're most likely to have heard of. His name translates to "feathered serpent" in the language of the Aztecs, but he pops up in many of the region's cultures. So maybe it's not so surprising that there's a massive sculpture representing him just outside of Mexico City, a city formerly known as Tenochtitlan. Here's what is surprising: that sculpture is in fact an apartment complex. 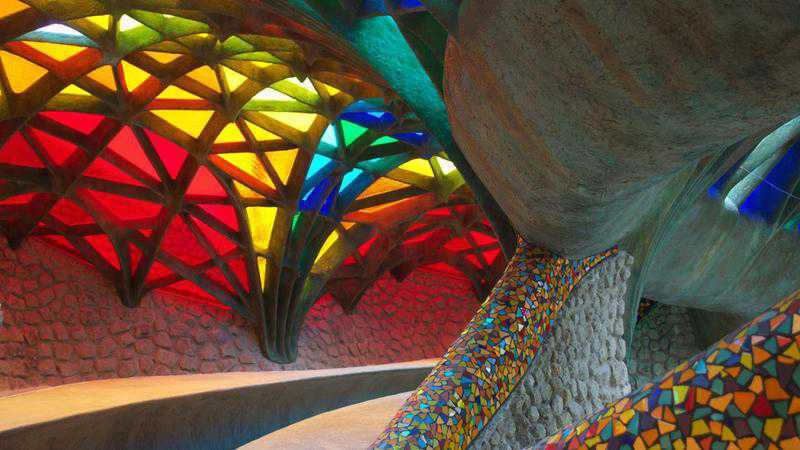 Quetzelcóatl's Nest is the brainchild of Javier Senosiain, a Mexican architect and a major proponent of what's called "organic architecture." This style emphasizes seamless integration into the landscape. 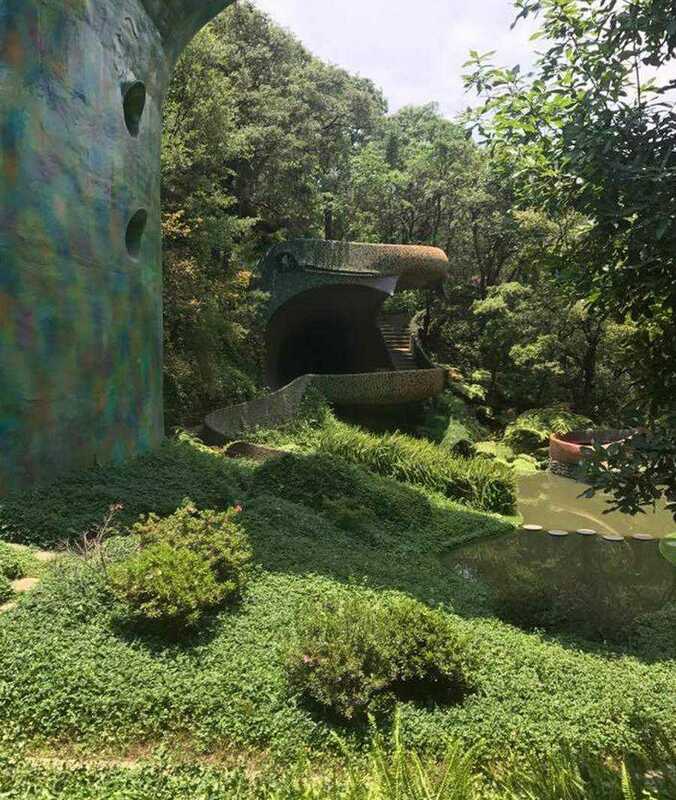 In the case of Quetzelcóatl's Nest, that meant taking inspiration from the area's massive caves and irregular above-ground depressions. To Senosiain's eyes, the network of winding ridges looked like a massive snake, with the largest cave as its open mouth. So that's exactly what he made. Today, a resident standing in the mouth looks out on a high-rise unlike any other: the ten apartments inhabit the serpent's body, which rises and falls into the earth itself. The mouth itself is massive, measuring 20 feet tall and 165 feet deep (6 meters tall and 50 meters deep), and the buildings that house the apartments themselves feature a total of 165,000 square feet (15,300 square meters) of living space. 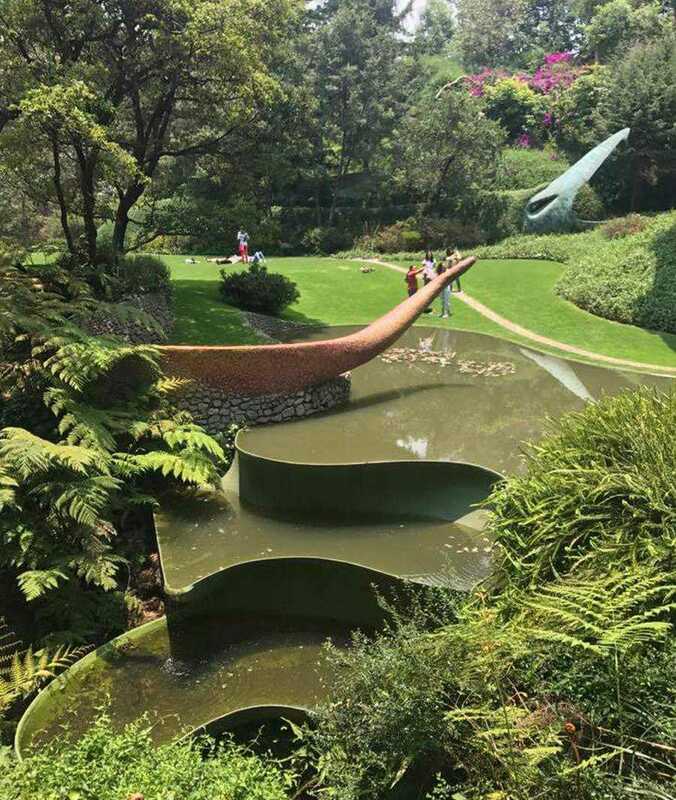 By the tip of the tail, which curls up behind the serpent's head, is a sunbathing area, and at the aforementioned mouth of the snake is a gazing pool with stepping stones. Gorgeous. You can probably guess from the name that organic architecture has earth-friendliness at its core. But for Senosiain, the challenge of Quetzelcóatl's Nest was even greater than normal. When the apartment complex was commissioned, it had to be done under one condition: none of the green spaces were to be altered. That's why the serpentine design works so well—it didn't require the undulating hills to be flattened or cleared. That building philosophy also allowed for the surrounding oak forest to remain unviolated, making the entire space refreshingly shady and cool. It all adds up to everything that harmonious architecture should be.